Getting flowers for a wedding can be a confusing and somewhat intimidating process. Very few people have experience with purchasing floral arrangements, and even if they do, every wedding is different. When it comes to purchasing flowers for a Hindu wedding, or getting Hindu floral arrangements, nothing is better than Vivek Flowers. The company not only offers a wide range of flowers steeped in Hindu tradition, but they do so in an easy and affordable way. That combination makes them perfect for anyone looking for the specific market or style. Vivek flowers is a company that focuses on delivering high quality products to all of their customers. 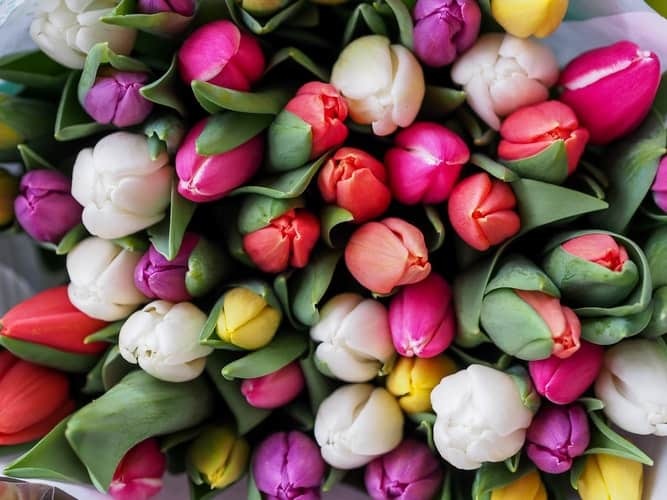 They offer fresh, fragrant and beautiful flowers to everyone who buys from them, ensuring both parties will be happy with the transaction. The idea of laying flowers at the feet of deities or garlanding their pictures is at the center of Hindu prayer. Vivek acknowledges that and ensures their inventory will fall right in line with the values of the religion. They offer flowers for all sorts of different events, but they are best known for their flowers that ensure any Hindu (or non-Hindu) in the United States can get the exact look and coloration they want for their wedding. The company has been in the U.S. for 12 years. In that time, they have set up multiple locations and grown far beyond what they once were. Vivek Flowers is the sister company of Vanguard Exports, a shop based out of Coimbatore, India. That location has been exporting fresh, bright flowers for years. It is a family business and has been run that way for generations. 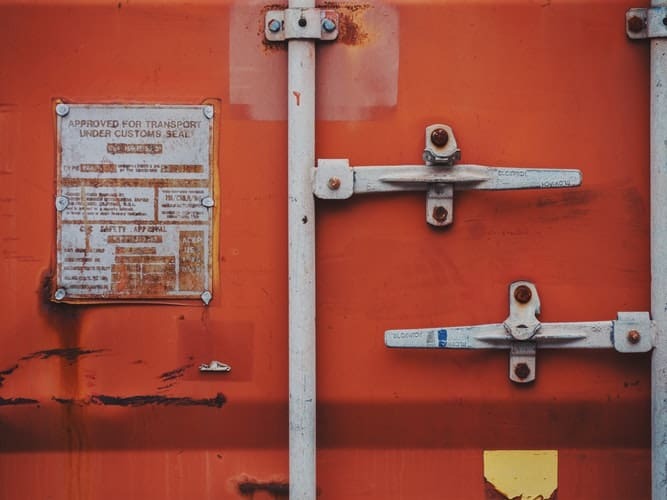 This is important to take note of because it shows the type of quality Vivek is based on and the standard they hold themselves up to with each and every shipment. The business has its own farms from which all of the flowers are cultivated. As everything is centralized, the system ensures all of the flowers can be delivered quickly at affordable prices. Wedding flowers are often quite expensive, costing hundreds and hundreds of dollars. Vivek Flowers cuts into that cost, which is one of the best reasons to choose them for your Hindu wedding needs. While the Vivek Flowers site appears a bit outdated and boxy, it is easy to use and is packed with all of the information you would ever need. The top of the home page sports a bar with a quick menu that allows you to browse through the Kolu Store, Pooja items and, most importantly, wedding items as you see fit. For the purposes of this guide, if you hover over the wedding section you open a drop down bar that reveals numerous choices. 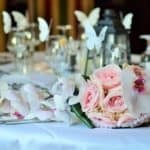 This section is where you'll find different choices that range from rose wedding garlands and hand ties to door decorations and special bouquets. Click on whatever intrigues you the most. That will then bring you to its page and enable you to see all of the options the company has available. Each product page is organized in a simple and easy to use way. You get pictures front and center (enabling you to see the colorful arrangements) and more specific sections on the side. Those additional links help you further specify your order and tailor it to your needs. For example, rather than just looking for garlands, you can look for rose wedding garlands or garlands only made in the USA. Another key part of these sections is the small paragraph on top that gives you a small bit of information about the products as well as how much they cost. The entire page is organized so you can see all of the relevant information without doing too much extra work. It is not often that wedding flower companies provide you with so many choices, especially ones dealing with a niche or specific market. However, Vivek Flowers understands the Hindu tradition and works hard to ensure that, regardless of what flowers you want or what arrangement you need, they'll have it covered. Web sites can be difficult to navigate, especially if you're looking for an item you aren't completely familiar with. To help with that, Vivekflowers.com comes with a handy site map. This section of the site, which you can access from the front page, is extremely useful for all customers. It is simply a long menu, but it is a menu that lists everything you could ever want. This is another way to access Vivek's inventory and will give you a better idea of what they have in store. It may even give you ideas if you're just starting out. Th map is broken up into twenty-nine different sections, which gives you more than enough ways to choose between all different styles, looks, and prices. 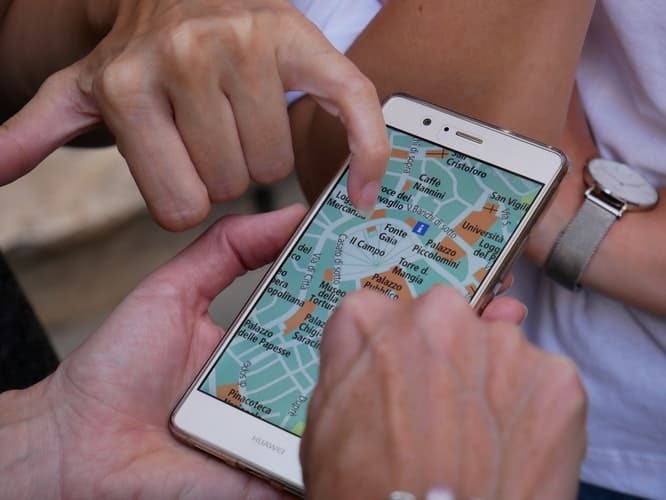 Browsing from the site map keeps you centralized and provides you a place from which you can branch out and see everything Vivek Flowers has to offer. Flowers are a vital part of any wedding. Not only do they act as beautiful decorations, but they also have certain significance or symbolism tied to them as well. For those reasons, when choosing to buy you need to go with a company that takes the time to make sure the flowers get to you undamaged and in one piece. Vivek Flowers is one such company. They go out of their way to take care of their inventory and package it in a way where you always get the flowers you ordered in the exact way you ordered them. That assurance is important for weddings because it means there will be no surprises or accidents when it comes to setting up the big day. Vivek gets their flowers directly from India. That ensures they are as authentic and as a fresh as possible. Though some companies would try to cut out the source, you won't find that here. 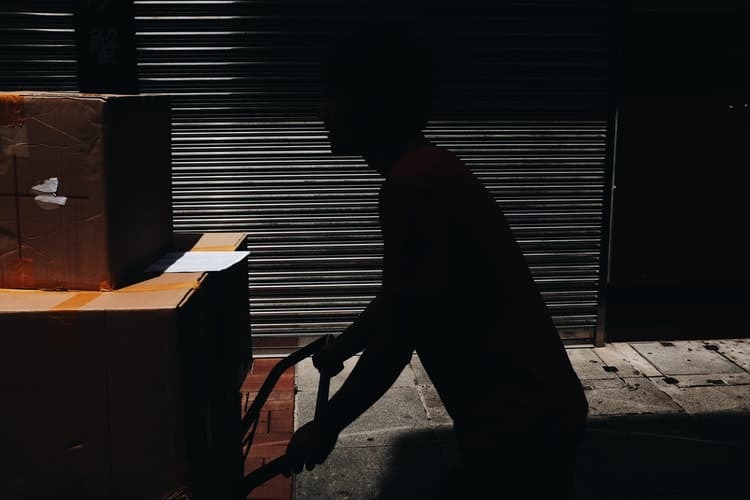 The shipments come in to their Edison store location every Wednesday morning, and they arrive at the Atlanta and Chicago locations every Thursday morning. Using FedEx priority delivery, they then send out orders with special ice sheets that keep the flowers cool. That ensures the flowers stay safe during the journey, and it also makes it so they will keep their freshness. There is nothing worse than getting wedding flowers that have lost their color or bright smell. Vivek takes the necessary steps to stop that from happening. Going off the above section, Vivek also has incredible shipping. This is perhaps the number one reason to use the company because all of their orders arrive on time and with little hassle. They ship their flowers out on Wednesdays and Thursdays, and they will send them anywhere across the United States. Such dependability is great because you never have to worry about your zipcode or location when making a purchase. On Tuesday through Thursday Vivek also provides local shipping on garlands and mums, and you can get Saturday delivery for an extra fee. All of those packages come at an affordable rate. Vivek Flowers get a discounted rate on overnight shipping charges that add up to more than 50 percent off regular costs. Rather than keeping those savings for themselves, the company extends it to their customers. This helps them keep their rates much lower than other companies and ensure you're getting the best deal possible. 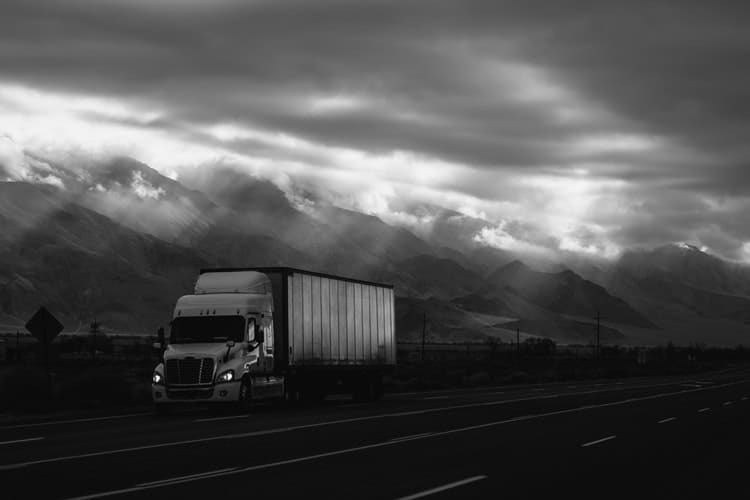 Low and efficient shipping is great, but it is not the only thing that matters. Vivek Flowers knows that and they build on their dependability by providing their customers with more choices and selection options. For instance, unlike so many flower companies, they offer no minimum shipping order. Often times, companies make it so you have to order a certain number of flowers to get a shipment. That then forces you to either pay more than you're comfortable with or take on more flowers than you need. By avoiding such restrictions, Vivek ensures that every single customer will get the flowers they want, and only the flowers they want. 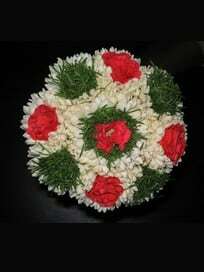 The company also offers loose flowers in addition to larger or more detailed arrangements. This, like the doing away with minimums, is another way Vivek specifically tailors to each and every customer. That may not be something you think of when choosing to buy flowers, but it is important to have some extra peace of mind when it comes to your wedding. 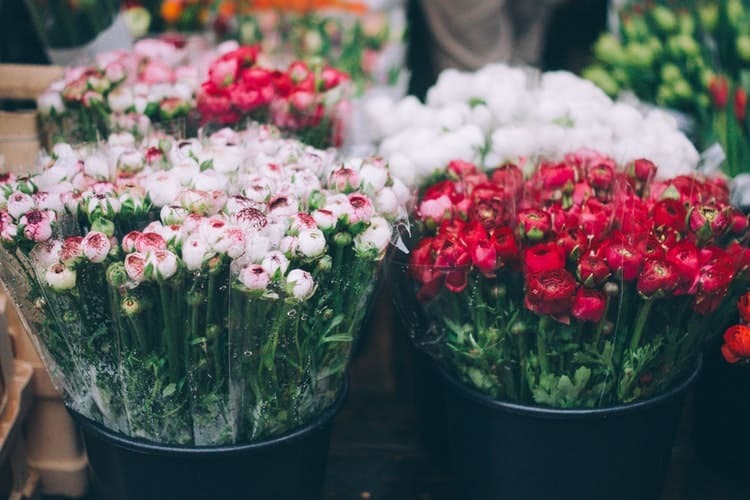 Loose flowers come in 7-inch by 8-inch zip lock covers, which makes them easy to both ship and handle. 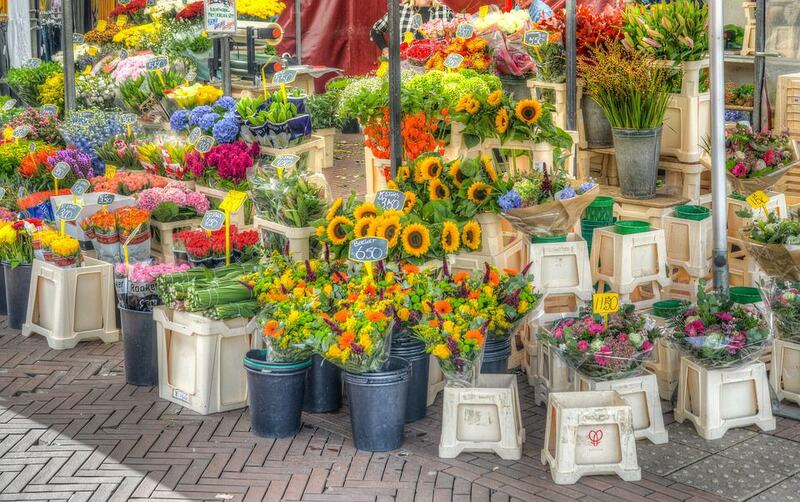 As with the regular inventory, you have a few options when it comes to purchasing such flowers. First, you can order general loose flowers at $5 a bag. For that space, you can get 35 to 40 button roses, 10 to 12 marigolds, 100 to 150 lilies, and 150 to 200 arali. Great products at a cheap and affordable price. 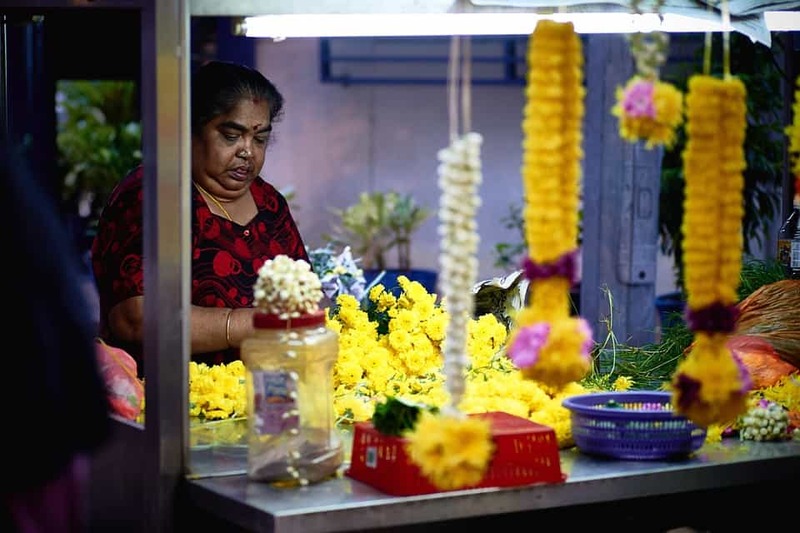 In addition, if you want to branch out from those options Vivek sells marigolds at $25 a kilogram and loose Jasmine at $8 for 200 grams. Those prices are all more than reasonable and allow you to get smaller orders should you need them. Though most weddings call for grand arrangements (especially if you're having a lot of guests) there are many instances where you'll need a more manageable shipment. Vivek Flowers has you covered on that front. Vivek Flowers offers great shipping and a wide inventory, but it is important to take note that they only ship at specific times or dates. This is very important to keep in mind when putting together a wedding because you never want to put yourself into a situation where you expect your shipment to get in quickly and then you have to wait an extra week. 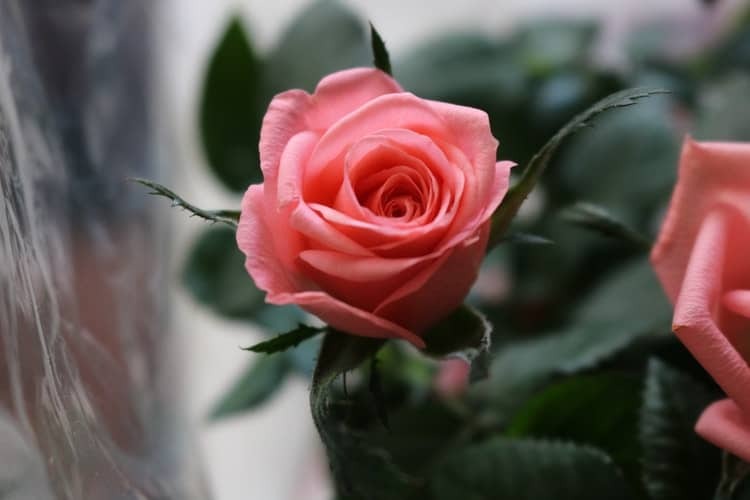 The company recommends that you should order loose flowers, which come quicker than anything else, by Thursday afternoon for next day delivery. However, Indian wedding or puja garlands must be ordered a week in advance, while garlands made in USA can be ordered a few days in advance. Of course, your location also affects this timing. If you live near one of the stores you can go pick up an order quite quickly. If you live further away, you can check shipment times during check out. It is best to check shipment times far before you need the flowers so you'll know how long to wait. As with any good company that has managed to stay in business for 12 long years, Vivek Flowers has great customer service. Should a problem arise when dealing with the company (an unlikely occurrence) you can always contact their online order support. A simple phone call and a representative will help you with any questions you might have. The line is open 10 a.m. to 8 p.m. EST all days of the week. Being able to get your questions answered is important, and it also helps that you can get some extra support when first filling out your cart or navigating the site. You have the option to call into their stores as well. All of the numbers are listed on the side of the home page. 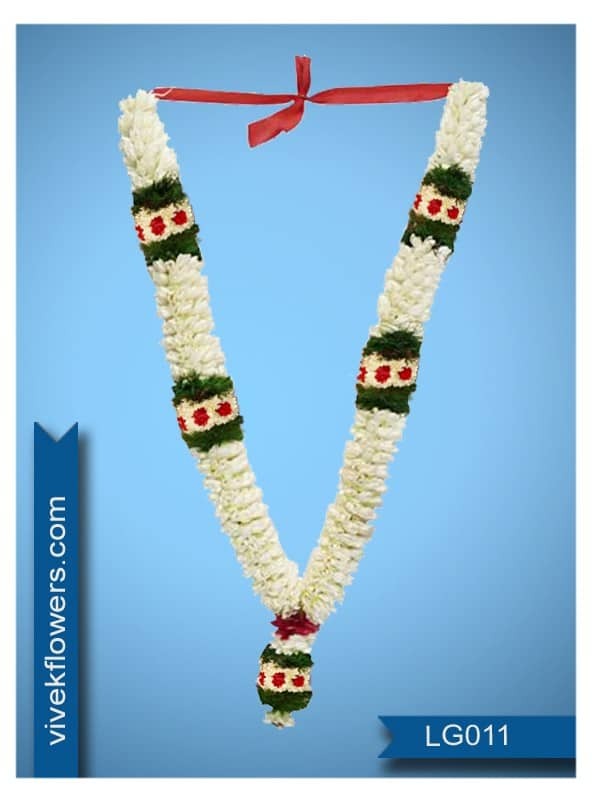 Vivek Flowers is a company that provides some of the best Hindu arrangements around. They work hard to give all of their customers a full experience and go out of their way to arrange discounts. Everything about the flower buying process is made easy here, and that is what differentiates Vivek from other similar companies. They are more than a one-time purchase, they are a truly caring resource to make sure your wedding is as big and as bold as it can be.